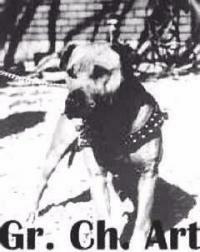 This dog was a very important part of Bulldog history. This dog came on the scene about the time when mediocrity in the dogs was coming to an end. 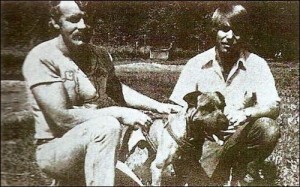 Stinson and Glover, who originally owned and campaigned Art, were among some of the best dog men of that day and had as good a “Stable” of great dogs as there were around of that time. 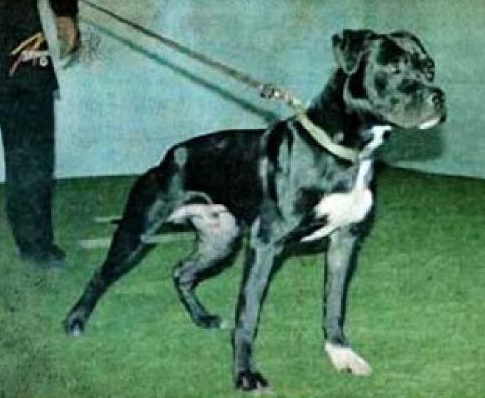 Art was a product of B. Clayton who bred Eli, Jr. dog to his gyp Java. Out of this litter also came Double OO, Catfish, Patty, Little Java, and Ch. Hurt, noted for their ability and mouth. In spite of his ability there were many around that were convinced that he couldn’t be any count since he was cur bred. But his record of victories dispelled those beliefs. “My most memorable experience having to do with this world renown dog took place on a beautiful day in North central Texas when the combine rose to the challenge and brought him up to meet the Big Plumber’s Jade dog. Jade was off of Hammonds’ Zeke bred to Rasmusson’s Ginger and one of the heaviest Dibo dogs of that day. He was thought by many a dog that couldn’t be beat. 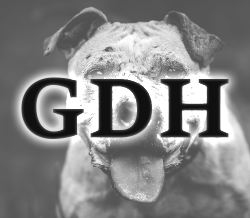 He was a hard mouthed, offensive dog that would take a lot of good dogs out in short order. Jade had one flaw compounded by a medical problem that no one ever bothered to address. He never paced himself, mainly because he never had to but had a soft palet that would make it impossible to breathe if he had to go the long route. You got the picture, the Plumbers’ were betting that this would be a short one so never worried about the oxygen problem. Chicken Sam used his 2 time winner Gator into Ch. Art. Both dogs were worked for other matches and they fell through, so they matched each other. At “pit your dog”, Gator gets on Art’s nose and walks him around the pit. Art, pushing for the shoulders. At about 8-10 minutes. Art gets the shoulders and shows that hard bite he is known to have. The fight goes on with Art working the body and going into the stifle and Gator trying to hold Art out. 30 minutes and Gator has been bit to pieces and takes the count making Art a four time winner. For his fifth, he was matched into B. Crutchfield and D. Adams and disposed of their representative in :20. 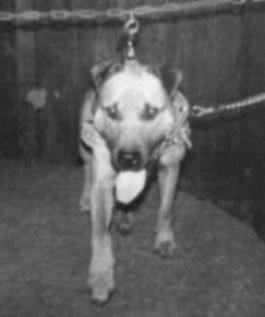 After losing one of their best dogs to Art Adams and Crutchfield purchased him from Stinson for the amount of $2500, which was a steal for a dog of his ability and record. Now owned by Adams and Crutchfield Art was matched into Cumpers & Razmus who brought a white dog called Polar. Both dogs came in under 46lbs. Polar goes to the ear, Art to the chest and shoulder. :10 minutes Art goes to the stifle, then back to the shoulder, Polar on the ear. :23 minutes and Art has complete controll, now Polar showing weakness from shoulder and stifle. :35 minutes Polar helpless. 1 hour mark, Art releases his hold, Adams tries to call him into a turn but can’t. 1:11 Art looks up, Adams calls a turn, a quick handle and Art makes a fast scratch. Cumper gives up the fight in 1:12. He was matched into a B. Hall dog and was fouled out by the handler, on top. He was hooked into Holt’s Jeremiah, unfortunately the contract was cancelled by Crutchfield. Of all of Art’s matches only one dog ever scratched back to him. Afterwards he was matched once more winning his seventh and offered at stud, at the age of three years old, the ads on him read “Art” “The dog with the Heart”. Some time later this great 7xw was stolen just like his sire, Clayton’s Eli Jr., as someone thought that the $300 stud fee being charged was too much. He produced Gr. Ch. Mike, Ch. Strike, Ch. Luke, Ch. Bumper, Ch. Leila, Ch. Queenie and many other great dogs. Art will long be remembered as a one of the greatest to ever look through a collar.